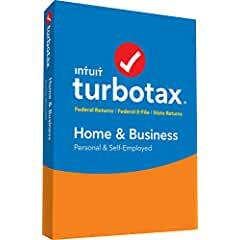 TurboTax, from Intuit Inc. (Nasdaq: INTU), has released a free, interactive Tax Reform Calculator and a free, easy to use Standard vs. Itemized Deduction Interactive Tool to educate taxpayers on how tax reform impacts them. The Tax Reform Calculator educates taxpayers using aggregated, anonymized tax data to help them understand how tax reform impacts them based on situations similar to theirs. In just five screens, the Standard vs. Itemized Deduction Interactive Tool helps taxpayers easily understand whether they may need to claim the standard deduction or itemize deductions. The calculator shows individuals the impact of the new tax law by analyzing aggregated, anonymized tax data to show taxpayers tax situations similar to their own. Users can simply choose the state they live in, select their marital status, number of dependents and their income range, and the calculator will tell them the federal average tax outcome based on those inputs. To illustrate the power of the Tax Reform Calculator, an average taxpayer in California who is married with two dependents earning $50,000 - $75,000 will get an estimated $1,600 more in their pocket throughout the year; an easy-to-read pie chart also reveals that 95 percent will owe less, five percent will owe more. The same scenario with no dependents will see $800 more throughout the year; 88 percent will owe less; 12 percent will owe more. - Deductions and Credits: How an aggregate of TurboTax taxpayers’ tax deductions and credits are impacted (standard vs. itemized), SALT (state and local property, income, and sales taxes), the Child Tax Credit, and AMT (Alternative Minimum Tax). - Standard vs. Itemized: Of the percentage who itemized last year, see how many will change to the standard deduction. Also see the percentage that will owe less, owe more, or stay the same based on whether they remain taking the standard deduction, itemized, or switched. - SALT (state and local property, income, and sales taxes): Clarity for those who paid more than the $10,000 cap last year and whether they will benefit from switching to the standard deduction or still itemize, and whether they will owe less, more, or the same. - Dependents: How dependents impact the federal average tax amount and whether more or less would be owed. - AMT (Alternative Minimum Tax): Reveals the approximate percentage of taxpayers that will pay or not pay AMT under the new law. The new law nearly doubles the standard deduction, eliminates or limits a number of common itemized deductions many people took in past years, and lowered five of seven tax rates by about one to four percent. According to TurboTax estimates, about 90 percent of taxpayers will now take the higher standard deduction, up from 70 percent last year. In just five screens, the free Standard vs. Itemized Deduction Interactive Tool helps you understand whether you may need to claim the standard deduction or itemize your tax deductions under the new tax law based on your entries. If you are close to the new standard deduction thresholds ($12,000 single and $24,000 married filing jointly), the tool will make recommendations to help you maximize your tax deductions before the end of the year, whether that’s donating more to charity or making the doctor visits you’ve been putting off. Although TurboTax figures out what will benefit taxpayers (Standard vs. Itemized) based on their entries, this easy to use tool will also help you figure out where you stand with your tax deductions, so you can make smart tax moves to lower your taxable income before the end of the year. - TurboTax TaxCaster – Updated for the new tax law, TurboTax TaxCaster Online and the TurboTax TaxCaster app allows taxpayers to get an estimate of their overall 2018 tax picture and get a side-by-side comparison of how the new tax law changes impact them. - TurboTax W-4 Withholding Calculator – Easily estimate how many withholding allowances you should take to boost your tax refund – or your take-home pay – and estimate whether you had enough withheld from your paycheck. - TurboTax Tax Reform Center – A one-stop shop, to get easy access to real-time, up-to-date tax reform information, tips, educational content, graphics, tools, videos, community topics, and our TurboTax Live CPAs, Enrolled Agents and Tax Attorneys. All TurboTax Online products are now available and will be up to date with current tax laws, so taxpayers can file with complete confidence at tax time. As a trusted resource with more than 30 years of tax expertise, TurboTax combines technology, tools and TurboTax Live CPAs, Enrolled Agents and Tax Attorneys to make sure customers’ taxes are done right.